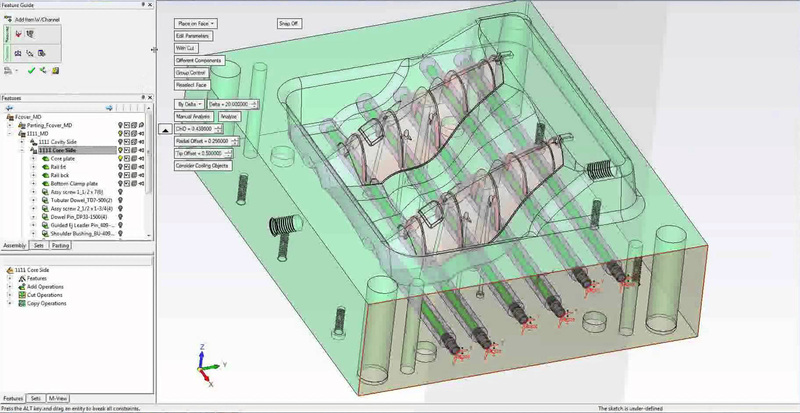 Concept development and design for injection molding | Accurate Plastics & Mold Co.
Design or development of the original concept is probably the most important stage of any product. During this stage choices are made that will impact the product properties, technologies, and costs involved with its manufacturing. In this beginning stage engineers should involve the mold maker who can make suggestions on how to optimize the design when possible in order to simplify the mold, reduce the mold cost and improve its efficiency. The tool maker for example might suggest where to core out the product and reduce wall thickness which will save cost in raw materials and reduce cycle times . By simplifying the mold and reducing the weight of the part, a smaller machine size might be used which would imply lower hourly machine rates. The choice of the material will impact the final production cost of the product. Material typical shrink rates: In some materials shrink can be different for the flow direction and for the direction at right angle to it. This can create issues with part warping or distorsion. Part shape: For long and narrow parts it is better to choose low shrink materials when possible. Agency requirements such as UL or FDA. Type of environment to which the final product will be exposed. Some plastic materials behave better then others when exposed to chemicals. In some instances resistance to UV rays might be a requirement. Flame retardancy requirements. There are different levels of flame retardancy. Some materials are naturally flame retardant while others will require additives to comply with the requirements. Some materials such as PVC will develop corrosive gas during production and not every injection molder is set up for it. Some resins must be stored in climate controlled environments, or may have a short shelf life. Accurate Plastics and Mold Company's warehouse is climate controlled. Each lot is assigned a date code which allows inventory control. All resins have minimum order quantities. Consult with Accurate to select the one that best fits your needs. The same product can be molded quicker with some materials than others. Exotic materials can be very expensive and difficult to find. When possible, specifying a generic grade will alllow selection of resin from a variety of suppliers and possibly reduce the cost and lead time.